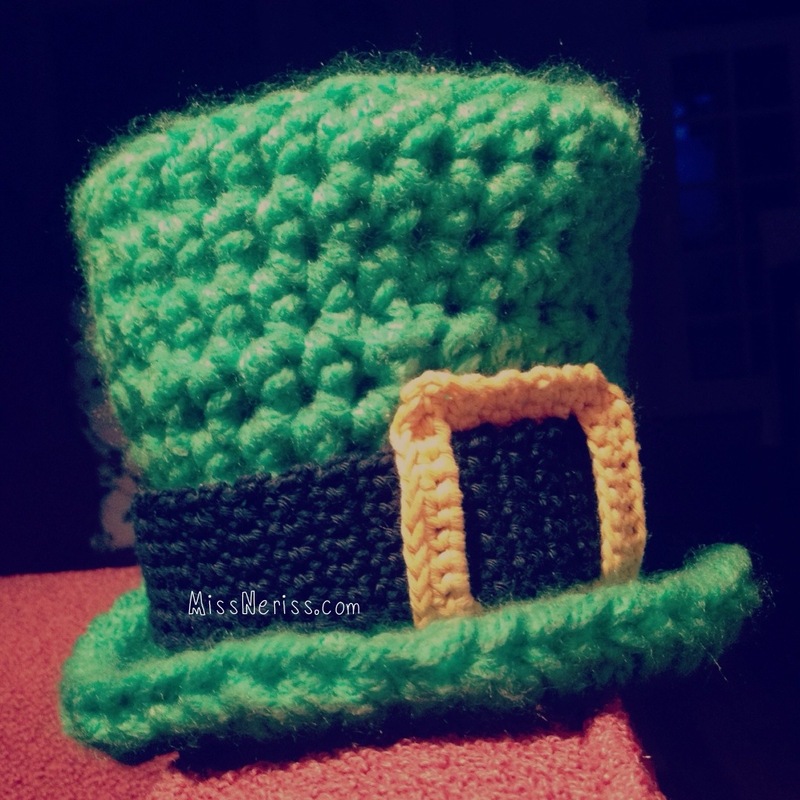 It has taken months and months and MONTHS to get there, but I finally have my St Patrick’s Day Leprechaun hat pattern ready to go. Well, I have it in the newborn size for now. I’m still working on the toddler size and will post the adult size as soon as I can. The pattern is available in all of my stores, Etsy, Craftsy, and of course, Ravelry! To celebrate, I’m giving away two copies of the pattern for free! All you have to do to win is comment on this original post (on missneriss.com), and I will draw a random winner on Wednesday 12 March! I will announce the lucky winners here and they will also be contacted by email. Good luck, and thanks so much for your ongoing support! Suzy and Patricia! Congratulations, the pattern is on its way to you! This entry was posted in Drops, Pattern, Patterns, Projects and tagged baby, baby photo, beanie, chunky yarn, craftsy, crochet, crochet hat, crochet pattern, DIY, drops, etsy, haken, handcrafted, handmade, hat, Leprechaun, MissNeriss, newborn, newborn crochet hat, newborn hat, photo prop, photography, photography prop, St paddies, St Patrick's Day, yarn. Bookmark the permalink. St. Patrick, that’s for me then! Nice hat. Love it – and I think a pair of earrings done in thread would be dandy from this pattern!!! Love it!!! Haven’t done anything for Paddie’s day yet! Love it!! Would make my Grandpa McElhaney proud! !